Let’s face it, keeping an incredible credit history isn’t always as simple as it should be. Just because you’ve had problems with money in the past doesn’t necessarily mean that you’re going to be careless the next time you get credit. Unfortunately, a poor rating could make it harder for you to find the loan you need when you need it most. The good news is that you can still get a loan if you don’t have a stellar credit rating. All you need to do is think about applying for a specific kind of loan, called a “bad credit” loan. These are loans specifically designed to appeal to people with poor credit histories, and they can give you the opportunity to not only access the money you need but start improving your credit rating more rapidly too! The financial industry knows that many people struggle when it comes to managing their money. In today’s economy, it’s not just people who spend money carelessly that end up in debt. In fact, most people will take on some kind of debt at one point or another in their lives – whether that debt comes in the form of student loans, credit card bills, or mortgage payments. While some kinds of debt aren’t as bad as others, if a blow to your lifestyle means that you have problems paying back what you owe, your credit rating could begin to suffer, which means that you’re tarnished with “bad credit”. Bad credit loans are designed specifically for people who need to borrow money, but might not be applicable for the best rates and conditions available on the market. Unsecured personal loans: Unsecured personal loans specifically created for people with bad credit can be a great way to get your hands on the money you need, without putting your assets at risk. Because these loans aren’t secured, you don’t risk losing your home if you can’t make a repayment. However, interest rates can be a little higher than normal. Guarantor loans: If you’re struggling to get your hands on a great loan deal, and you don’t want to pay over the odds on your interest rates, then you could consider asking someone else to step in and act as security for your loan. With a guarantor loan, your guarantor will be required to make repayments on your behalf if you default. This additional safety measure means the bank may give you a broader range of loan options to choose from. Peer to Peer loans: Finally, peer to peer loans are some of the most popular types of bad credit loan available today. They allow you to borrow money from other investors or “peers”, rather than from a building society or bank. This can mean you get deals that aren’t available through a traditional financial company. Bad credit loans can sometimes get a bad rap. 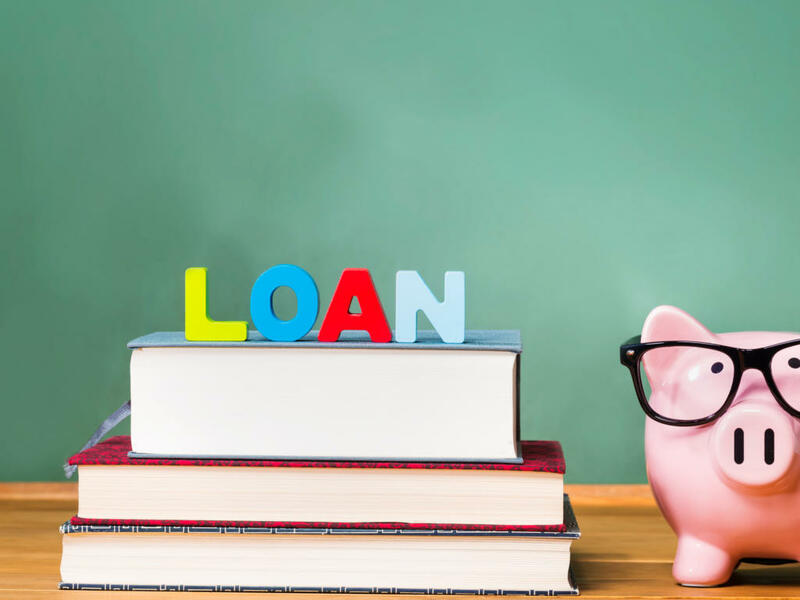 However, the truth is that just like any other kind of loan, you simply need to make sure that you’re well-informed before you make a decision. If you know exactly what you’re getting into, and you’re prepared to make your repayments on time, then you could actually find that taking out a bad credit loan helps you to repair your credit history. If you can show the financial institutions that you are capable of using money responsibly with your new loan, your credit rating will begin to build again, which means that by the time you pay off your bad-credit loan in full, you might be applicable for better rates and products in the future. Keep in mind, however, that there’s a big difference between having no credit history at all, and having a poor credit history. Having no credit history is a problem that a lot of young people suffer from, but there are ways that you can boost your rating, such as taking out a credit card and making sure you pay off your balance at the end of each month. If you struggle with a bad credit history, then most lenders will consider you to be high-risk, which makes it tougher to get the support you need in difficult financial times. The good news is that bad credit loans can give you a second chance to start repairing your rating and getting the loans, you need. Although you’ll have to be careful about making sure that you can afford your loan, the right bad credit loan can be a wonderful thing for people who would otherwise find themselves getting into more debt because they have to go into overdrafts on their bank or struggle with excessive credit card bills. On top of that, you get a fresh chance to show your banks and building societies that you’re not a credit risk. What Is the Best Type of Debt Consolidation Loan? **The time that it takes for the cash to be received in your account will depend on your bank’s policies and procedures. Same Day Loans Introduces customers to Monevo Ltd who are an Appointed Representative of Quint Group Ltd. for the purposes of obtaining a loan. Same day Loans does not provide any loan or consumer credit products directly. Samedayloans.org.uk is a registered Trading Name of Hellcat Media Limited which is an Introducer Appointed Representative of Quint Group Limited, and is entered on the Financial Services Register under reference number 729043. Quint Group Limited is authorised and regulated by the Financial Conduct Authority and is entered on the Financial Services Register under reference number 669450. Hellcat Media Limited is registered in England and Wales (Company number 08151185), Registered Office: 12 Culm Close, Bideford, Devon, EX39 4AX. Licenced by the Information Commissioners Office, (registration number ZA262977).